I love the story of the man who goes to the sage. He tells the sage he wants to be her student. The man tells of how he has spent years studying the writings, read the commentaries, practiced the required practices. The sage offers the man some tea, and he accepts. The sage begins to pour the tea but overfills it watching it overflow. The man cries out, "Stop! Stop! The cup is full!" The sage whispered, "So too with you, how can I fill your cup when it is already full of yourself." Shhh! The Dead Are Taking A Nap! 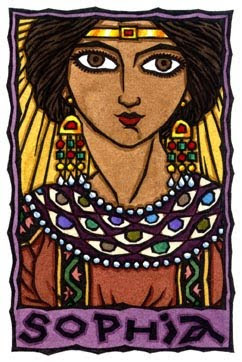 Desert Rose- Hidden Teaching of Gnosis? I was looking at the lyrics of one of my favorite songs-Desert Rose by Sting. I was struck by how this could be a song to Sophia. You find allusions to her in ways in the song....the rose (Mary-Sophia), the allusion to Eden, Logic (Logos), waking up, realizing nothing is as it seems, garden in the desert (pleroma in the kenoma). Look at the lyrics and decide for yourself. The Thomasine School of the Universal Church of Autogenes (TS for short) is a Wisdom tradition within modern Gnosticism. Having a foundation of those ancient texts that have been labeled “Thomasine”, we find within them a teaching of gnosis, and an understanding of Jesus that is distinctly Eastern akin to the roles of spiritual teachers in Hinduism, Buddhism, Sufism, and Taoism. A student of this school should have an excellent understanding of the Thomasine writings, particularly the Gospel of Thomas that he or she may be able to make the connections with other eastern religious traditions. 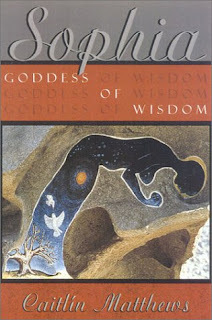 For all of you who want to know a bit more about Sophia and any possible links with Lilith, the Black Madonna and the goddess spirituality movement, let me recommend a book: Sophia: Goddess of Wisdom, Bride of God by Caitlin Matthews. Or you can click on the link under the picture and go to Amazon. Enjoy! Ancient "Gnostic" sects looked at the world in various ways. Some saw it as garbage. Others as almost like a prison. The Gospel of Thomas that says, "he who has found the world, has found a corpse," also says "lift a stone I am there, split a piece of wood and there I am". I have wrestled with the views. It almost caused me to leave the modern Gnostic movement because of this. Until I looked at the Eastern faiths. Hinduism looks at the world in several ways simultaneously...it is "lila", God's play. It is maya, illusion. It is the body of God. 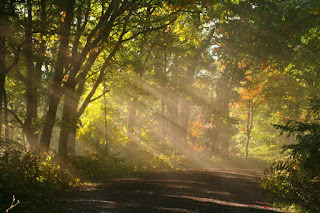 They have sacred rivers, trees, and stones, that are worshipped as aspects or faces of God. Buddhism in some ways agrees with Gnosticism. "Life is suffering." They say. And yet they hold all life sacred. They point it is useless to hang on to things....all things are impermanent. This group is for anyone who wants to discuss Sophia from a devotional standpoint. The story of Sophia is one of a fall...a descent. She created something outside the Fullness (Pleroma). Yet Sophia means Wisdom. I cannot imagine, Wisdom, a facet of the divine essence making a mistake. Was it all part of the hidden wisdom of the Monad? What if the temporal exists simply as a blanket to the eternal. What if God is hidden in everything? What if we are simply God coming to know him/her/itself? I don't think Sophia's actions were a mistake....but rather a myth telling of her descent from the timeless into the temporal. Like a loving Earth Goddess, her seeds are planted within everything. She whispers to us, "Wake up!" Will we blossom into the fullness or simply cling to the temporal. Will we "see eternity in a grain of sand"? 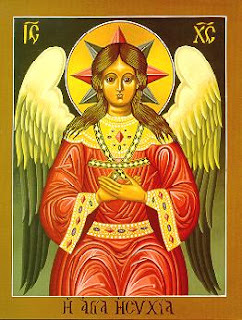 All praise Sophia, Queen of Wisdom! All praise the black Madonna, her skin the color of the richness of the fertile soil! She who descends and ascends again! The Gospel of Thomas is a Wisdom Gospel. Its logions read like Zen koans. The Thomasine School is shifting into a mystery school, using the GoT and other Nag Hammadi texts to awaken to a living gnosis. The shift will be more Sophianic and utilizing verbal wisdom rather than just textual. The teachings are passed on and the story of the Mother will be told and better yet experienced within this school.